Disclosure: AccuWeather has sponsored this post. All words and opinions expressed are 100% my own. 'Tis the holiday season and that means that it's time for family and time to take a few extra safety precautions. Did you know that this is the season that most accidents happen? I'm excited too share with you some safety tips that I learned thanks to AccuWeather and some members of the FDNY. They want to make sure we are all safe this Winter season. This past Tuesday I had the opportunity to attend a special event hosted by AccuWeather. 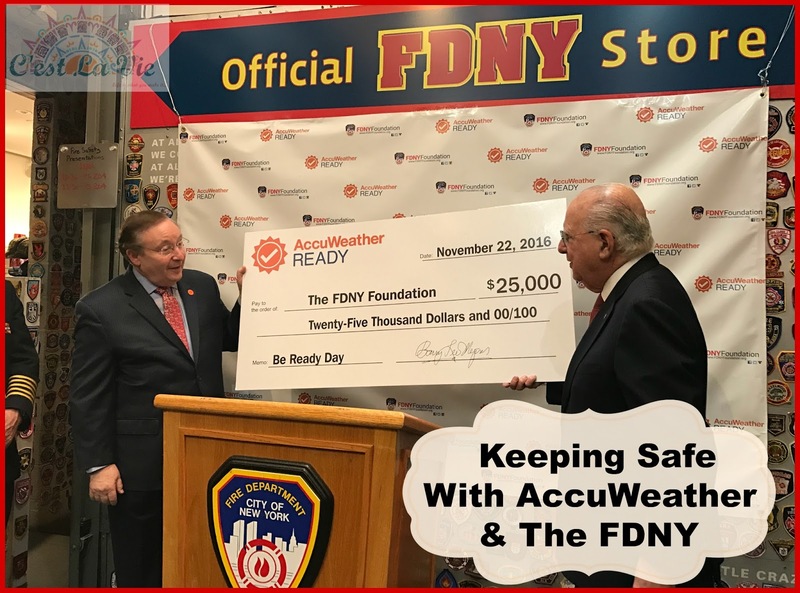 There were members of the FDNY and AccuWeather in attendance, including FDNY Foundation Chairman and AccuWeather Chief Executive Officer, Barry Lee Myers. It's always great to see a company invest in something so important as families safety, and I loved witnessing the moment that AccuWeather presented a $25,000 check to the FDNY Foundation. Together they work to help keep us all safe! The FDNY shared some safety tips that are sure to keep us safe this holiday season. One of them is to make sure that if you have a heater keep it about 3 feet away from objects that are flammable such as a blanket. It can catch fire in a few seconds. Also make sure to keep an eye on what you are cooking, something getting overcooked can easily turn in to a stove on the fire. Make sure that your fire detectors batteries are still in good condition and having a small fire extinguisher is also a good idea. Make sure you have a fire plan emergency in place and that your children know the designated area to meet in case you get separated during a fire. Always remind them that 911 is for emergencies and that the FDNY are their friends, they can be a little scary with the masks on but explain to the kids that those help them breath and keep them safe in a fire situation. 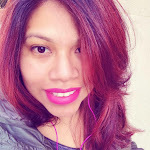 The number one rule that I will leave you with is to please remind your kids that hiding under the bed in case of a fire is a big no-no, they can get seriously hurt, instead remind them to get on their hands and knees and crawl like babies, never on their stomachs. Loved these reminders form the FDNY you are never too old for a refresher. Next we got to hear from AccuWeather members. When you think of AccuWeather you think of the weather because they help us keep track of the whether year round but did you know that they also have an amazing program called AccuWeather Ready. It is a year long program that you can rely on to be ready for any kind of weather that might come your way. It helps families keep informed and safe. There you can find helpful safety tips and tools to help your family be safe and ahead of the game. 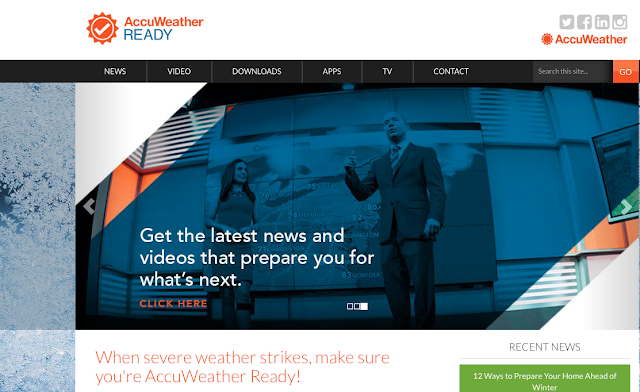 Make sure to stop by the AccuWeather Ready website and read up because as the temps go down, you want to make sure to you and your family are ready. As you finish your Thanksgiving dinner make sure to snuggle up with your laptop and visit the AccuWeather Ready Website for a good. or even life or death. All of the AccuWeather Ready information is available on the AccuWeather Network 24/7, AccuWeather.com/Ready and the AccuWeather app.